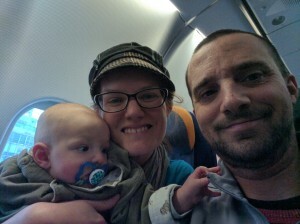 Early January we returned to Ukraine after a longer than usual stay in the U.S. due to the birth of our son, Hans. What a blessing Hans has been to us! As his name suggests, he has been a gift from God and an answer to prayer. Hans is a Dutch/German name and short for Johannes. Johannes is Dutch/German for John, in Hungarian Janos, and in Ukrainian, Ivan. 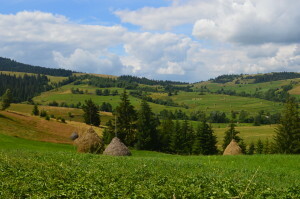 It has been an exciting return to Transcarpathia Ukraine with the whole family. We have been warmly received and have been overwhelmed by the generosity of friends and neighbors here. It has been a busy month of January settling in and getting organized. We have enjoyed beginning English lessons and English clubs. We are already busy planning for summer camps and we are looking forward to more upcoming programs, activities, and Bible studies once the University semester begins in the middle of February. Currently, college and university students are in the middle of a month-long exam period. We were thankful that Hans traveled very well coming here. He slept and watched all the activity on the air plane. He had difficulty adjusting to the time change and for the first weeks had difficulty sleeping at night. But now we can report that he has completely adjusted to the time change and life here. We have not been so active with our blog or website in the past year with the pregnancy and birth of Hans, but we hope this year to be much more active in blogging, so we hope you will continue to follow along with what is happening here. God Bless. In the deep of winter, we are surrounded by cold and long nights. These dark evenings of middle winter are often the time we spend planning for summer programs. Hours are spent in correspondence with potential volunteers and working out details with local schools and pastors who we partner with in conducting summer English/outreach camps. The cold crisp air and the sound of crunching snow beneath your feet makes summer seems impossibly distant. Yet summer will be here in a blink of an eye. It is also a time to reflect on this past summer while planning for the upcoming summer. We have not done much updating on this blog in the past year due to business of life with a newborn and an extended time in the U.S. for the birth of our son Hans. We intend to be much more active this year in blogging and hope readers will follow along. A good place to start is with a couple of blogs looking back at our English and outreach camps from the summer of 2016. Weekly we are thankful to God for the opportunity to hold elective English lessons for the students at the Peterfalva Reformed Lyceum, in the village where we live and work. The students receive English grammar and language lessons from a qualified English teacher, much in the same way that many of us learned Spanish in high school. The classes we offer provide an opportunity for students to speak with native English speakers and to put into practice what they are learning in the classroom. Our classes fall on Mondays and Tuesdays due to the already demanding schedule of the students. We have been amazed that each week between 40-60 students attend our 4 different classes. Each of the four grades, 8th, 9th, 10th, and 11th, have the opportunity to come for a 50-minute lesson in the afternoons and evenings with us. Most of the time we teach these classes together. At times, though, when we are taken in opposite directions by multiple commitments and/or opportunities, only one of us teaches the lesson. Our lessons are not compulsory for the students. And, although the classes can be tiring at times due to the high (or sometimes, uncomfortably low!) energy level of the students, it is our hope that the students will continue to return each week! Our classes range in both style and content in an attempt to encourage the students to be conversational in English. We have taught praise and worship songs, such as Who am I and Blessed Be Your Name. We have discussed breakfast and how it varies around the world. We had a special Valentine’s Day lesson in which we discussed how Valentine’s Day is celebrated in a secular way, but we also considered how as Christians we know of the greatest love, and how it has been demonstrated for us (John 3:16, 1 John 3:16). We have also played a variety of games including Skip-Bo and spoons. We have discussed personality and character and how to best describe the people in our lives … The list goes on and so does the variety! The aim of these lessons is really two-fold; and interestingly, the students learning the English language is really neither of the two! It is our hope and goal to build relationships with these students. To not only know about them, but rather, to build relationships with them, to be approachable to them, welcoming and open, so that we might, by what we say, by what we do, and by how we live, present the Gospel of Jesus Christ to them. And in doing so, achieve the second aim, to present them with a Christian World-View as it is lived out daily. We are really glad and humbled that the Lord can use us in this endeavor. I am reminded of a time when a former student of ours, now a dear friend, commented, “You know, we were always watching you two. And we were especially curious by how you and Eric related to each other. Not harsh, but in a thoughtful and kind manner.” This remark blew us away! To think that even our moment by moment interactions as a married couple are being so scrutinized by high school students! Both humbling and scary for us! What a reminder to take every thought captive for Christ! Maybe that most succinctly conveys what the aim of these classes is, from 2 Corinthians 10:5, “We demolish arguments and every pretension that sets itself up against the knowledge of God, and we take captive every thought to make it obedient to Christ.” As well as Paul’s encouragement to Timothy, from 1 Timothy 4:12, to “…set an example for the believers in speech, in conduct, in love, in faith and in purity.” To, by the grace of God, by his Spirit dwelling in us, to be counter culture, even in the small day to day interactions, moment by moment, to let our lives reflect the Lordship of Jesus Christ. Soli Deo Gloria. During a week’s time, we are thankful to be a part of many different programs, lessons, Bible Studies, and the like. But one of our favorite weekly programs occurs on Sunday evenings at the Hungarian Reformed boarding school in Peterfalva. After the evening devotion, prayer, and singing, students who desire are invited to stay and learn English worship songs. A group of about 20 students usually stay to sing and learn new English worship songs with us. Some students attend because they like to sing, others because they want to practice their English language skills, and still others because they enjoy worshiping the Lord through music. We are very thankful that Laci, one of the Dorm parents at the school, is an accomplished guitarist and with ease accompanies us as we sing. One of the students, Mark, also plays the guitar very well and kindly shares his gift of music with us week after week. Together they skillfully manage to make our noise undeniably more joyful! Over the past weeks, we have enjoyed introducing the students to contemporary praise songs as well as treasured hymns. Each week the students are quick to make songs requests. Some of the frequently requested contemporary songs include Bless the Lord, O My Soul, You are My All in All, and Lord, I Need You. Traditional hymns including Amazing Grace and God Himself is with Us have been quickly learned by the students and are also sung often. Over the past couple weeks, we have been impressed with the students and their musicality, especially in a language that is not their mother tongue! We asked the students if they would be interested in forming an English Singing Group and singing at various occasions. To our surprise and delight, the students were eager for this opportunity. 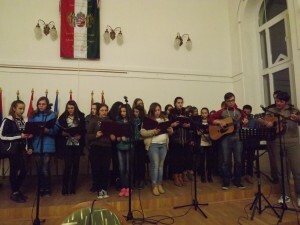 Then, last week, in a nearby town called Beregszasz, the local Reformed young people hosted a week long Evangelization at the local Hungarian college. Csilla, one of the university students involved in planning the Evangelization, invited us to come sing at the Evangelization. So, in the days prior to, we practiced our songs, rented a bus that seated 26, and on a cold, damp, Wednesday evening drove the 50 kilometers to Beregszasz. The evening began at 6:00 pm, so we departed for Beregszasz at 5:00 pm. It doesn’t seem like such a distance, 50 kilometers, but the roads are in terrible condition, and while we thought we could get there with time to spare, we still managed to arrive five minutes late! Immediately after the welcome was given, we were called up to the front to sing! So, there was not really time to feel uneasy or nervous. Our students and guitarists performed three songs: Bless the Lord, O My Soul, Amazing Grace, and Who am I? We are very thankful to God that it went well. The students sang simply and beautifully. We were glad that we could be a part of the Evangelization, but we were also glad that these 20 students had the opportunity to hear the Gospel presented, as well to hear a personal testimony from a young lady who shared how the Lord has been at work in her life, and to partake in the worship service. After the service was finished, we quickly departed, since it was a school night, and drove an hour back to Peterfalva. Some of the staff at the school kindly waited for us with a hot supper upon our return. It was a lovely evening and we were thankful for the opportunity to continue to develop relationships with these young people. The students who participate really seem to enjoy learning new songs and singing together. We also are glad for the opportunity, as it allows us to praise God in our mother tongue! We continue to meet weekly on Sunday evenings, and we hope to have more opportunities to sing publically in the future. We praise God for the opportunity to sing praises to his name, and also to proclaim his name to the nations. For many, International Women’s Day is a day heralding the many diverse achievements of women. More recently, it has been a call to “accelerated gender parity” (http://www.internationalwomensday.com). Despite its highly political sentiment for many, for others it has become likened to that of Mother’s Day or Valentine’s Day. A day in which people express their love and affection for the women in their lives. The history of Women’s Day dates back as early as 1909, and some say was first celebrated in the U.S.A. during changing times as women struggled for civil rights. Over the past century, the human rights movement has persistently brought the struggles of women to the forefront of society; to both humanity’s betterment, as many injustices against women have been quelled, but also to our detriment as God-ordained femininity has become increasingly murky in light of the pursuit of so called “gender parity”. March 8 is the official date of International Women’s Day. It is recognized as a state sanctioned holiday, and therefore, state institutions and schools are closed. The Hungarian Reformed School in Peterfalva, however, remained open, but celebrated Women’s Day in a manner similar to that of Valentine’s Day. In each of the four classes, the 8th, 9th, 10th, and 11th grades, the boys made special plans to surprise their female classmates. In the 9th class, for example, the boys, assisted by their history teacher, planned an afternoon party during a study hall of cupcakes, Coca-Cola, and red carnations for their female classmates. I (Stacey) went looking for the 9th grade class in order to remind them of an English lesson; instead I was quickly shown to a seat at the table with the girl students, presented with a red carnation, and offered sweet treats to enjoy with the girls. In the 10th class, the boys, made “palacsinta” or pancakes for the girls. In the 11th class, the boys, armed with the help of their kind mothers, planned a special dinner for their female classmates and teachers at which they served the ladies, sang for them, and bestowed upon them a blessing. Other local signs of International Women’s Day: the cooks in the kitchen at the school were given chocolate and flowers, the Pastor at the Reformed church presented all of the lady staff at the Reformed boarding school with flowers, and in the teacher’s staff room, the lady teachers were showered with flowers and chocolate. Here in Transcarpathia, although International Women’s Day is observed, there is no political agenda. Instead, there is a genuine heartfelt display of gratitude for the women in people’s lives, and it is seen as an opportunity to graciously express thanks to these women for the many different roles they fulfil. A friend of mine shared on Facebook a poignant and meaningful message by John Piper, called The Ultimate Meaning of True Womanhood. Below is the link. In a world with an increasingly warped sense of masculinity and femininity, Piper succinctly conveys what “True Womanhood” is, with direct application for both the married and single woman. To all the many precious ladies whom we call friends, family, and sisters in Christ, Happy Women’s Day! Tiszaujvaros, Hungary-June 29-July 3: Our third camp of the summer was an English/outreach camp in the city of Tiszaujvaros, Hungary. Around 30 teenagers from the local church and community came for this camp. The camp was not associated with a school. Students came every day from 9am-3pm taking part in English lessons, games, competitions and morning and afternoon singing and devotion sessions. We enjoyed lunch at a local nursing home every afternoon and at the end of the week presented those living at the nursing home with a concert and American square dance demonstration the students had learned over the course of the week. Other high lights of the week were a water games afternoon and teaching the students the game of baseball and ultimate Frisbee. This was the first year we have done a camp at this location and the story of the origins of this camp is worth taking a moment to tell. In February this past year we had chaperoned a group of students from the Peterfalva high school to Budapest to take part in a Bible competition. On our return to Ukraine on a cold dark late winter night our van broke down along the highway in eastern Hungary. We called a friend who searched the Hungarian Reformed Church directory for the nearest Hungarian Reformed Church. Our friend called the pastor who ventured out in search of us and towed us back to his church. They very graciously provided accommodations that night for 9 people and provided us with supper and breakfast. After worshiping with them the following morning we were able to return to Ukraine with a van borrowed from another friend who came to our aid. The pastor in Tiszaujvaros also arranged for a mechanic to fix our van the next week. The assistant pastor at the church came to know the LORD and developed a personal relationship with Jesus Christ through an English camp, and had wanted to begin an English/Gospel outreach camp in their community. We were invited to come back in the summer for a week long camp. God’s purpose and providence were evident that cold wintery night. It was a testament and a reminder that through trials and hardships God is sovereignly in control. The name of the city (Tiszaujvaros) is also worth writing about. Tisza is the name of a major river in Hungary, uj means new, and varos means city. The name of the city is literally Tisza new city. The story behind the name is that Tiszaujvaros up until the fall of communism went by the name of Leninvaros or Lenin City. Leninvaros was a model industrial socialist city, built from nothing in the middle of farm fields in the Danube basin. Besides being an industrial city the purpose of the city was to showcase what a perfect communist city should look like. Tiszaujvaros is a very peculiar city today. Still an industrial city of Hungary, it is a very modern looking city, lacking charm and any kind of historical character most Hungarian cities enjoy. The cities recent birth and communist legacy also left it with no churches until the late 1990’s. We praise God for this opportunity to work with the Tiszaujvaros congregation, a very new church started just in the decade falling the fall of the Iron Curtain. We are thankful to be able to share our faith and build relationships with 30 young people from this community this past summer. We hope and pray that we may have been a Christ-like example, witnessing and sharing the Gospel with these young people. We pray for listening ears and open hearts and again look forward to meeting these young people this coming summer. I have not been as diligent as I intended to be at actively blogging. There only seems to be so much time in a day. We have been incredibly busy this spring with English classes, Bible studies, Roma projects, weekend retreats, visiting missionary friends in Kyiv, . . . Busy and active is good but it has left little time to be behind a computer and with no internet at home it has been difficult to be an active blogger on life, work, and culture here in Ukraine and Hungary. I hope in the next weeks before our busy summer camp season begins that I will be able to get pictures, stories and updates up and available on this website. I want to focus a minute and look back at February. All winter and spring we have kept busy with English classes, Bible Studies, Roma project and interacting with students and young adults in various ways. We hope and pray that through not our own efforts, but through God and the work of the Holy Spirit, that God has used us to be a Christ-like example, sharing the Gospel, mentoring and encouraging the faith of the many young people who we come into contact with. You can read more about these activities in other individual blogs and in our newsletter. If you have not received our newsletter, you can find it here on the website; ask to be on the mailing list. Some of you will still be getting our latest newsletter sent to you as I have had a difficult time finding the time to get it send out to everyone. Please accept my apologies for this. 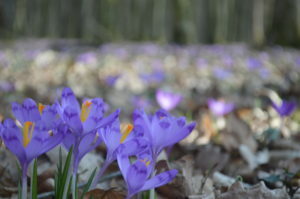 Here in this blog I hope to share about a few events that happened in February that I have not blogged or written about in our newsletter. One local ministry I want to highlight is the Peterfalva/Tivadarfalva church congregation’s Soup Kitchen. Three times a week food is prepared and delivered to elderly people and people in need. We do not have any involvement in this project. However, I was asked by the Dutch organization that funds this project if I could go and take photographs for them. The food is delivered to seven different villages by car, bicycle, and foot. I went two different days to watch and take photographs of the food preparation by the kitchen staff and the delivery of the food. The staff is local except for one volunteer. Her name is Wiebke Bartels. She is from Hamburg, Germany and she is doing a volunteer year with an organization from out of Germany in between high school and university. She has come to Ukraine and lives at the Peterfalva Reformed High School. She spends her time visiting elderly people in the village, delivering food, spending time with students, and working in a Roma kindergarten. We have enjoyed getting to know her this year. A second happening: in the last weekend of February we took a group of students from the Peterfalva Reformed High School to Budapest for a weekend Bible Knowledge competition. 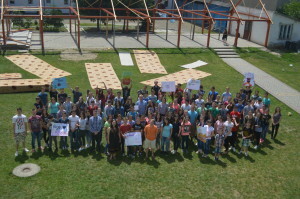 The students competed in games and events against teams from other Reformed High Schools from Hungary, Romania, and Slovakia. We enjoyed going and watching the competition and spending the weekend with the students. On our return trip to Ukraine late Saturday night, our van broke down along the highway and we were stranded on the highway. I called a friend who looked through a Hungarian Reformed church directory and he called the nearest pastor to see if he could come and assist us. Not only did they come late on a Saturday night, they towed us to a mechanic, they provided us and all the students with lodging for the night in the church manse, fed us supper and breakfast the next morning. Following the Sunday morning church service we were able to borrow a van from a friend of ours and return the rest of the way to Ukraine with the students. The following week we were able to go back and get our van. The assistant pastor of the church was led to Christ through an English camp and it has been upon the heart of the church to begin a week long English/outreach camp in their city. They invited us to help them organize this and now we have another English/outreach camp to teach at and organize this coming summer. God works in mysterious ways sometimes. Please visit our photo galleries or this link to see pictures from these events and other programs from January and February. What is the root cause of all this conflict in Ukraine? It is a good question that is difficult to answer and difficult to understand. I don’t know if anyone has the answer. Is it a throwback to the geopolitical Cold War rivalry between East and West? Is it struggle of world powers staking claim over their spheres of influence? Is it all about money and business? Both the West and Russia want to do business with Ukraine. The Donbass (meaning the Don Basin and the name given to the territory being fought over in eastern Ukraine) is the industry, mining, and natural resource center of Ukraine. Is this conflict about military power? The Crimea is home to a major Russian naval base and home to the Russian Black Sea fleet. I would like to suggest that the possible root cause to all this rests in the same cause that nearly all our sin lies in. Namely pride, along with the pursuit of power, selfishness and self-interest. The fall of the Soviet Union and the Russian decent from the world power it once was, was no doubt a humiliating blow. Seeing Ukraine move towards the West and out of the realm of Russian influence may have been too much for Russian pride and interests to bear. Putin also desires to build a Eurasian Union to rival the European Union. Ukraine, with its size and natural resources, would obviously be a big player in any potential Eurasian Union organized by Putin. I would imagine Putin despises the thought of Ukraine moving toward Western alliances. I think that Western leaders and the media fail to understand what exactly Ukraine means to Russia. Putin and many Russians see Ukraine as an illegitimate country. 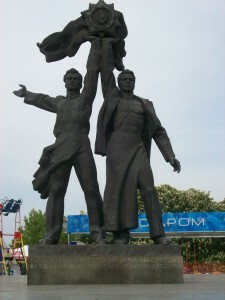 They see Ukrainians as Russian or Slavic brothers who rebelled and separated from the Motherland. Lenin once said, “For Us to lose the Ukraine would be to lose our head.” The Ukraine/Russia relationship can strangely be compared to the U.S./Canadian relationship. Maybe my Canadian relatives and friends will disagree, but in my opinion there are interesting comparisons in the two relationships. Ukraine/Russia and the U.S./Canada share: 1. Common traditions, food, customs, holidays, heritage, and Religious backgrounds. 2. Common or a related language (Russian is widely spoken across Ukraine, a mother tongue for many, and Ukrainian is a closely related Slavic language). 3. A long and open border: until recently Russians and Ukrainians did not even need passports to cross their shared border. 4. Shared history. 5. Shared ethnic identity in the Kievian Rus for the Russians and Ukrainians, British and immigrant communities for Canada and the U.S. I think Ukrainians and Russians are separate people and have a separate identity, but I don’t believe it can be denied they share a great deal in common. The protests in Kyiv began with Ukraine under Russian pressure pulling out of an agreement with the West; this also signaled a status quo to the corrupt, cronyism, kleptocratic way of life that plagues Ukraine and rest of the former Soviet Republics. Freedom, opportunity, and dignity once again were lost. I am in no way excusing or justifying Putin and Russian action. I think Putin is a corrupt, power hungry dictator who should stay out of Ukraine; I think this war and conflict begins and ends with him. But it is possible I think to understand what is at the heart of this. Putin saw the West making economic deals with Ukraine, he saw the West begin to discuss NATO membership for Ukraine, and he saw this not as just encroachment and an invasion of his sphere of influence, but I think he sees Ukraine as “his own” and this as an intrusion of influence on his territorial spheres of power. For Putin, I believe this was salt being thrown into the wound of the embarrassment of the collapse of the Soviet Union and Russian prestige. I don’t think Russia believes in the legitimacy of an independent Ukraine and the very idea of an independent Ukraine signing economic deals and joining NATO is preposterous to Putin. Putin has a very quixotic view of a Russian Ukrainian relationship. Western powers offering economic and military relationships to Ukraine may have been the straw that broke the camel’s back. I am in no way supporting Putin or Russia in this matter. I am strongly in support of an independent Ukraine and I believe Ukraine has every right to move in a Western direction and I believe Ukrainians have every right to desire a better life and desire opportunities denied to them by the corrupt post-Soviet society that lingers like a bad odor. But I think it is helpful to understand what is happening in Ukraine if we take the time to consider what a U.S. response would be to Russia meddling in Canadian affairs and offering economic and military alliances to Canada. While in no way excusing Russian aggression, a case could be made that western powers, who badly underestimated the Russian position and its intentions, could have been more sensitive and discerning while negotiating an invitation for Ukraine to join the Western sphere of influence. The biggest tragedy of all, regardless of the root cause, as in most wars it is the common everyday people, just trying to live their lives, who are caught in the middle and suffering during this international political power struggle. Pictured above is the People’s Friendship arch and monument between Ukraine and Russia. Built in Kyiv in 1982. I think Putin has also been empowered by the inaction and weakness of the West. Putin has clearly seen he can do with Ukraine what he wants and the West is not going to stand up to him. Putin has walked all over Western leaders. With the possible exception of German Chancellor Angela Merkel, who speaks fluent Russian, Putin seems to have his way with other world leaders. It has been disappointing to watch the West invite Ukraine with open arms into economic agreements, desiring trade and business with the Ukrainian market and talking about NATO membership for Ukraine, then as soon as Russia reacts, the Western powers have abandoned Ukraine leaving it to fend for itself, even denying much needed supplies to Ukraine. If Russia next turns on the Baltic States, (Lithuania, Latvia, Estonia) who like Ukraine are also former Soviet Republics, but unlike Ukraine, are members of NATO. Western leaders will have to militarily confront Russia or NATO will be meaningless. This is not a board game of Risk; Western leading should have been more astute to real world implications, while considering new NATO members. Below is one of the most interesting articles I have read on the situation in Ukraine and Russia.